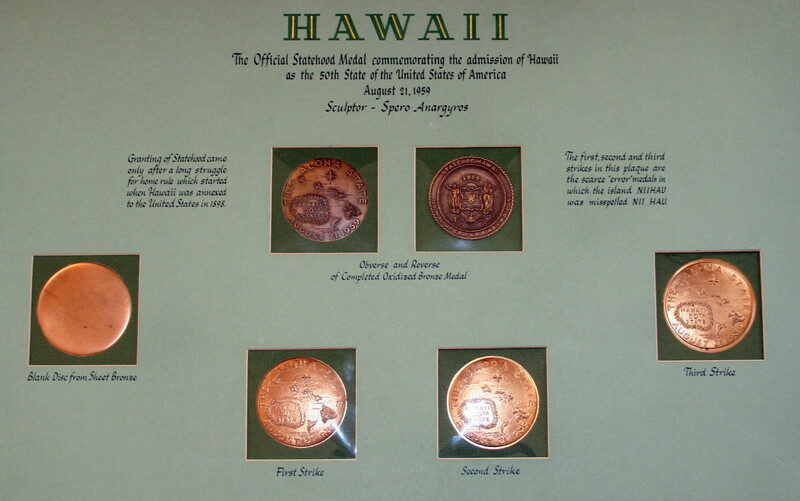 Hawaiian Money Standard Catalog 2nd Edition by Medcalf and Russell, page 100, states that about 30 bronze “production sets” were made for display purposes. My research indicates these sets were used for promotional purposes. This required the medals to be housed in a plaque for portability and ease for re-display from event to event. The set is in my collection retains its original display plaque. In census comparison with the official Hawaii Statehood medal in gold (50), the process set is rarer (30). 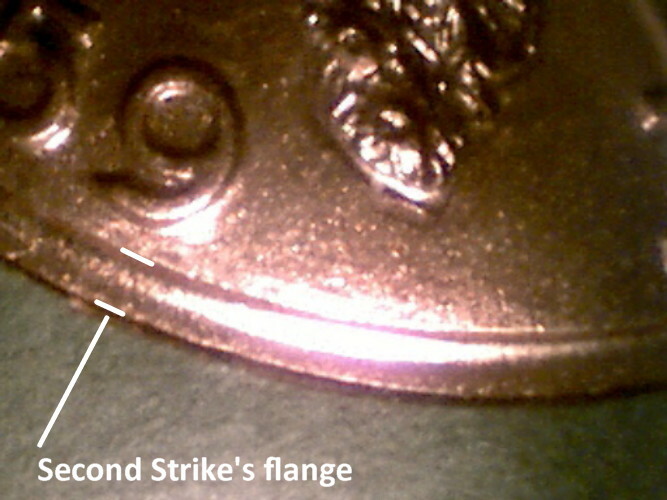 The process set “flange” is a common trait for medals struck without a collar. 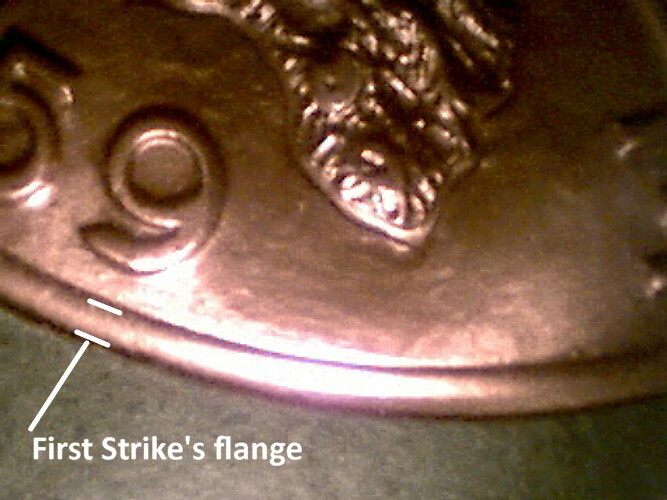 As each strike occurs he flange grows longer. 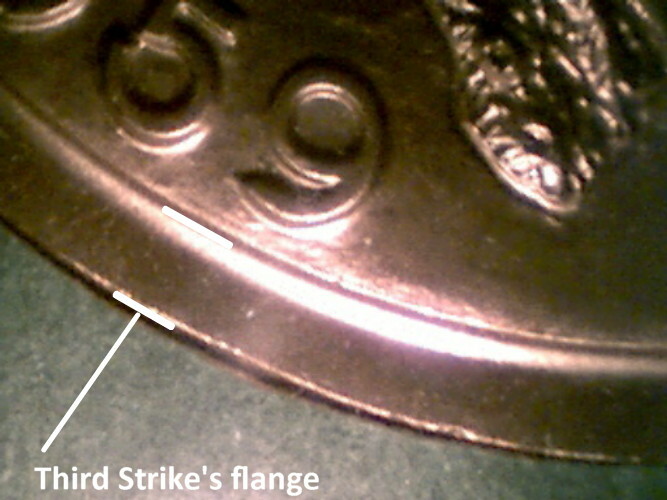 After the final strike, the flange is removed by grinding (if you look at a completed medal you might see a few grinding marks. Images are from my process set.